Runtown grew up in Abuja and Lagos. He moved to Enugu in 2002. He stayed there till 2008. He met Phyno early 2009. They moved to Lagos together and now they are here. When he moved to Lagos, he was leaving with J Martins. He was also featured in some of his songs. They worked together for a long time. He met Timaya from J Martins. He was never in the choir. Funny enough, He went to a seminary school. And whenever it was choir rehearsal he would run into hiding. He was the book, book kind of kid. He was always reading. And it surprises a lot of his friends why he finally chose music as a career. Music stole his heart. He would say music is his first love. He used to play basket ball. In fact, at some point, he thought he would end up as a basketball player. But in the process he met music; they fell in love and music and he got married. That was in 2005. While in school they used to have time for mimes and songs. At some point he felt he could do it. He decided to go to a studio to try it out. There was also a time he wanted to go for an audition (that was how he met Phyno). He went to his studio to do the beat of the song. The song was Chris Brown’s instrumental. When Phyno remade the beat, he was surprised that a Nigerian producer could do the same sound as a producer from America. That was how they clicked and started working together. They changed the sound. They changed the game, putting the whole Igbo originality right back into the map. Runtown started music professionally in 2010. That was when he recorded “Party like 1980”. Then he used to go around studios, trying to meet a lot of people. Then he was staying with Timaya. He was the one that groomed him. They were also working with Phyno in a partnership called Penthouse. They released the song Party Like 1980. The song started getting a lot of reviews. It was a rough journey then. With time a lot of people started accepting the song. When they wanted to do the remix of the song, He felt they should collaborate with Davido. But when they went to David(o)’s place, he heard Garllado and immediately wanted to be part of the song. So, instead of Party Like 1980, they remixed Garllado which featured Davido. That was the song that brought him to lime light and since then he has been doing a lot of gigs in and outside the country. A lot of other African countries have invited him to perform the song in their country. Garllado is a song with a beat that seems to cut across other musical cultures. So, the song has been attracting a lot of attention from other African countries. Runtown is now a fast rising Nigerian artiste. His hit song, Garllado featuring Davido in 2014 received massive airplay. In one of his interview, he tells us all about his musical career. He has been to South Africa, Kenya, Ghana and Rwanda. And they have shows in UK and US coming later in the year 2014. In 2014 He released a new single after gallardo domot which was accepted by fans increasing his Nigeria fan base and also worldwide. He was also said to have sold a song of his to Davido titled “Aye” a song which is arguably the biggest hit of the year 2014 in Nigeria. But he later denied it, and said even if he sold it that it is nobody’s business. No real endorsement deal yet but in 2014 he signed a multimillion Naira Record deal with Ericmany entertainment. On 31 May 2016, Runtown sought to terminate his contract with Eric Manny Entertainment upon an injunction obtained by the record label from a Federal High Court in Lagos stopping Runtown from performing at events or recording songs on allegations that “he signs up, concludes and attends musical shows without the knowledge of the label”. Runtown however denied the allegations in an exclusive interview with Joey Akan of Pulse Nigeria. In the aforementioned interview, Runtown revealed that he quit the record label due to breaches in the recording contract, threat to life and extortion. The new development is coming just few days after the general manager of Eric Many, Johnson Adumike called out the singer for posting a video on Instastories about a collaboration he’s cooking with Wizkid. Johnson advised the singer to rather get lawyers to help settle the case he’s having with them rather than flaunting what he doesn’t have the legal right to see through. ‘Runtown, rather than deceiving your fans by teasing them with a collaboration which you do not have the legal right to release, what you should do is to get your lawyers to come up with legal documents to clear your name just like Kiss Daniel when he had a similar issue. This is a way more mature approach than just throwing subliminals on social media’. ‘Its baseless pretending to the public when you clearly signed the dotted lines and its only right to be reasonable and keep your end of the deal and I Johnson Adumike will make sure that I inform the fans and followers of all proceedings and deliberations in court,so all interested parties can know current situation between Eric Many And Runtown at all times’, he said. 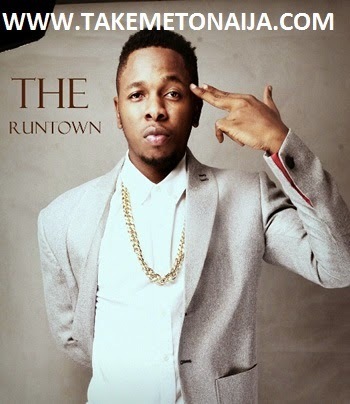 Nigerian recording artist Runtown has released one studio album, seventeen singles and ten music videos. His debut single was released in 2007 as an upcoming artist He shot to limelight in 2014 upon the release of “Gallardo”, a song which features vocals from Davido and was released as the first single off his debut studio album Ghetto University. Gallardo went on to win “Best Collaboration of the Year” at the 2014 edition of the Nigeria Entertainment Awards. On 23 November 2015, Runtown released his debut studio album titled Ghetto University via MTN Music Plus through Eric Many Entertainment. The album generated over ₦35million on the music portal thus earning him a spot in the list of “Top 5 Most Streamed Artist”.